Flea bombs, also called flea foggers, spray a dense cloud of insecticide, which quickly kills adult fleas and other insects. These foggers are easy to use, but you, your pets and your children need to leave the home for a few hours while the fogger does its job. When flea bombs do not work, it can be because either too few bombs were used in a large area or the fleas have built up resistance to that particular insecticide. Most flea bombs contain both a chemical to kill adult fleas and a chemical to inhibit the growth of eggs and larva. Many companies produce flea bombs, but here is a small sample of some common name brands and their active ingredients: Zodiac brand indoor flea fogger’s active ingredients are (S)-Methoprene, which interrupts the flea life cycle by prohibiting maturation, and Permethrin, which kills adult fleas. Zema IGR Fogger contains Nylar, which interrupts flea life cycle, and plant-based pyrethrum as well as the chemical permethrin to kill adult fleas. Like Zodiac, Adams Plus fogger’s active ingredients are (S)-Methoprene and permethrin. 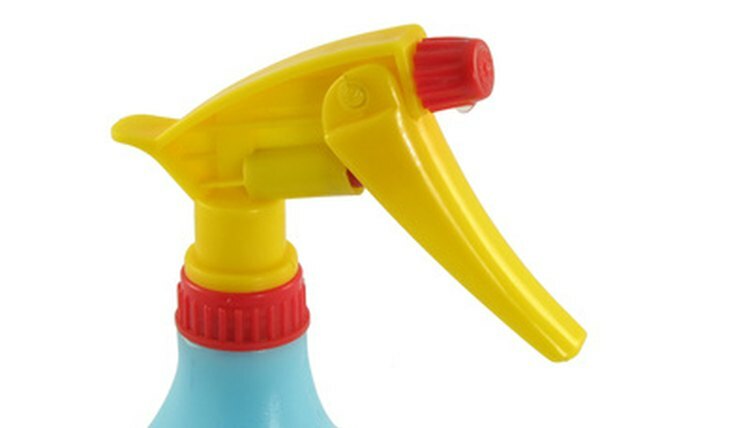 To activate a flea bomb/fogger, point the canister away from your face and press or lift a tab. Place the container on a sturdy surface in the middle of the room. For flea bombs to be effective, use the correct number of canisters for the areas you wish to de-flea. One flea bomb will usually take care of a 700-square-foot area, but the exact coverage depends on the brand. Because flea bombs widely disperse the insecticide as a fine-particle aerosol, the insecticide treats floors, furniture and draperies all at once. Flea foggers leave a residue, which is supposed to prevent flea infestations for several months (around six months, usually). Flea bombs also kill other nuisance insects such as silverfish, ants and cockroaches. The chemicals in these flea killers are very flammable. Turn off all pilot lights and extinguish any open flames in your house. Leave the room quickly after turning on the flea fogger so that you do not inhale the spray or get it on your clothing. Most flea bombs contain permethrin, a chemical dangerous for cats. There is a chance a cat will ingest the insecticide, as it may get on her feet and fur from walking or lying on treated areas. Cat owners should use caution when using any insecticide containing permethrin. All flea bombs contain insecticides that may be harmful to fish and birds. Some dogs and cats may also have sensitivities to any chemicals used. If you do use a fogger, always make sure you ventilate the house before you allow pets or children back inside. Flea bombs are most helpful for bad flea infestations when you use the bombs as directed, and use them in conjunction with other flea control measures. These include treating pets, washing bedding and vacuuming. For light infestations, flea sprays are often safer than and as effective as flea bombs. Are Flea Collars Safe for Cats?